Of course there is a need to probe the ‘cow slaughter’. But there is no need to say it’s a bigger priority than the inspector’s murder. How to make it official that in new India, the lives of cows are seemingly more important than human beings? Learn from the Uttar Pradesh administration. 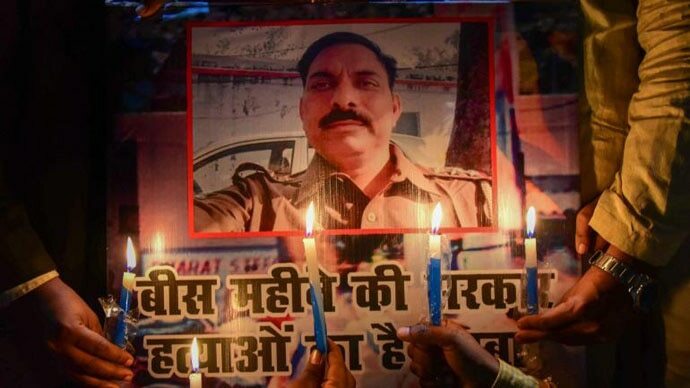 Police inspector Subodh Kumar Singh was killed on December 3 in Bulandshahr by an ‘incensed mob’ — comprising BJP and Bajrang Dal members — that was carrying carcasses of “slaughtered cows” in tractors, and refusing to back down even after the police assured them of an FIR. Only a few kilometres away, lakhs of Muslims had gathered for a religious congregation. Singh was trying to control the mob. Look at some of the statements made by various people in the UP administration since. The main accused in Subodh’s murder, Bajrang Dal activist Yogeshraj Singh, is yet to be arrested, though he has released a video claiming innocence. The official statement released after the meeting doesn’t even mention the braveheart inspector’s killing, but calls for action against cow slaughter. 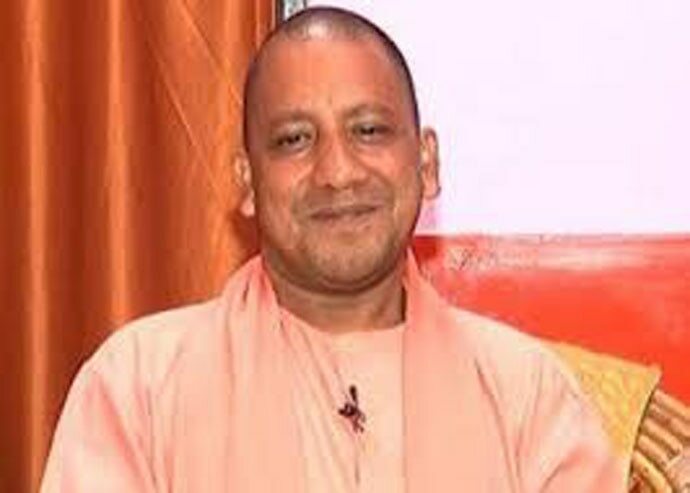 On December 7, Adityanath reportedly said Singh’s murder was an accident. On WhatsApp groups and social media, a narrative has long been peddled that cow slaughter is the gravest of all crimes, and if people “upset” by the killing of cows end up killing a few humans, it’s only understandable. Now, the UP administration apparently seems to back this narrative. Of course the cow carcasses need to be probed. There are conflicting accounts about how they were “discovered” in the first place. The Bajrang Dal member Yogesh Raj, arresting whom is apparently ‘not a priority’ for the Meerut IG, had claimed that he and his associates saw “seven people slaughtering cows”. Other people of the same village have said the carcasses were found lying in the fields. The police have now said the carcasses were 48 hours old — hinting at a conspiracy to create trouble. Another man, 20-year-old Sumit, was killed along with Singh. His death seems almost forgotten in the inspector-or-cow tussle. Investigating the cow slaughter is the police’s job. But why is official after official at pains to make the point that investigating it is apparently a bigger priority than probing their colleague’s murder? If the officers do not intend to give this message, they need to be a lot more careful about their choice of words, especially in the polarised tinderbox of a society we are living in. Another BJP leader — the area’s youth wing president, no less — has come out with another video, apparently claiming Subodh Kumar Singh was “corrupt and sided with Muslims”. No one from the party has so far condemned this astounding attempt to justify Singh’s murder. The “gau rakshak” nonsense — yes, it is nothing more than manufactured, dangerous nonsense — has been allowed to go on for too long. There are laws in place against cow slaughter, and a system active to enforce those laws. We do not need armed men roaming the streets to “protect” cows — and in the process, killing humans, as lynching after lynching in the past has shown. The BJP government’s response to such cases has been woefully inadequate at best: when Rajasthan’s Pehlu Khan was killed, state home minister Gulab Chand Kataria had declared, wrongly, that Khan belonged to a “family of cow smugglers”, while Minister of State for Parliamentary Affairs Mukhtar Abbas Naqvi had said in Parliament that no such incident took place at all. The increase in the frequency of such incidents clearly shows that the government’s seeming sympathy to cow vigilantes has encouraged these murderous mobs. Now, the Bulandshahr drama shows the BJP is either unable to — or worse, unwilling to — learn lessons. Cow protection as an emotive promise in elections is one thing. Allowing mobs a free run quite another. The BJP needs to reset its priorities now. Fires, once lit, do not discriminate between accused and innocent, own or the other, criminal or cop.